You might not have heard about Villars-sur-Ollon, but we are here in our second season and totally in love with our lovely little Swiss gem. Sitting on a sunny South-facing plateau with stunning views over the Rhone Valley to the ‘Dents du Midi’ and Mont Blanc, the resort has loads of variety when it comes to skiing. 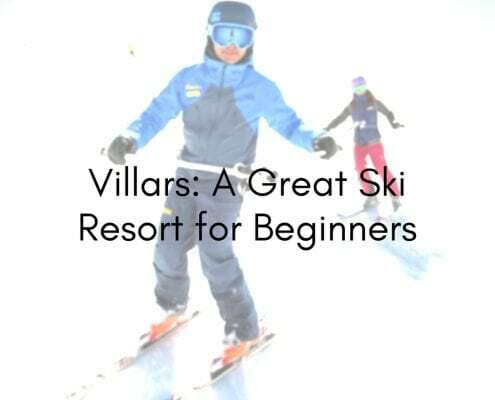 It is great for complete beginners, has steeper reds for more advanced skiers and offers loads of bumps and great off-piste for the more adventurous type. Cross country skiing adventures in Solalex. …straight from the Instructors themselves! 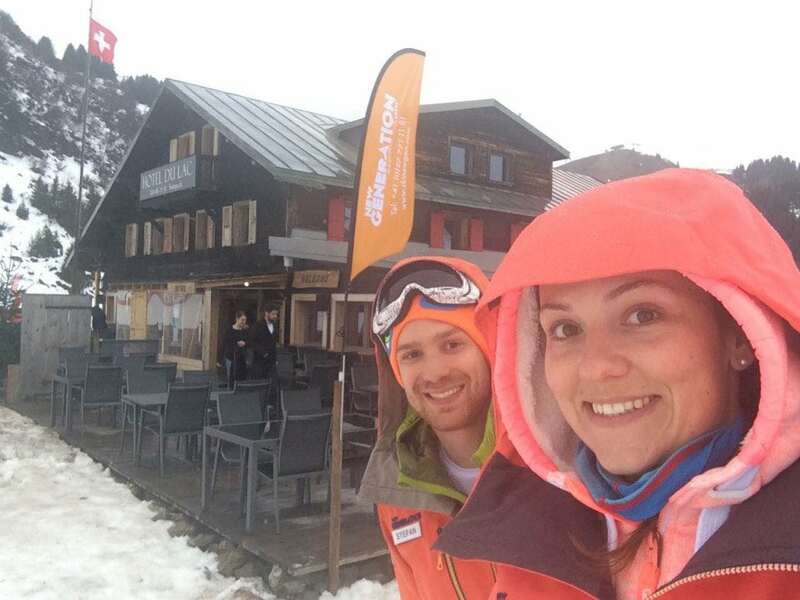 Anke: I am a foody, so my favourite spot is L’etable (“The stable”), a cosy little restaurant over in Gryon on the slopes just above the ‘Sodoleuvre’ chair lift. One half of the original barn building has been beautifully renovated to become a restaurant, while the other half is still used as a barn for sheep, goats and donkeys, which you can see through a glass wall at the end of the large dining area. Especially for kids, this is great fun, as you can pet the animals in their outside area. The food is a mix of typical Swiss cuisine and large plates of different meats. Delicious! As this is quite a popular place for lunch, I recommend to book a table in advance. Stefan: My favorite spot in Villars would have to be Murphy’s Bar. There’s nothing better than settling into the lounge atmosphere, taking in the sound of perfectly ambient music and unwinding after a hard day’s skiing. The bar picks up a crowd later into the evening and develops a more energetic vibe, effectively catering to those willing to go for a late night. Bar keep Andrea is friendly and willing to whip up something special for you at the price of a pleasant conversation. For a relaxed apres or good night out, I can’t recommend Murphy’s enough. 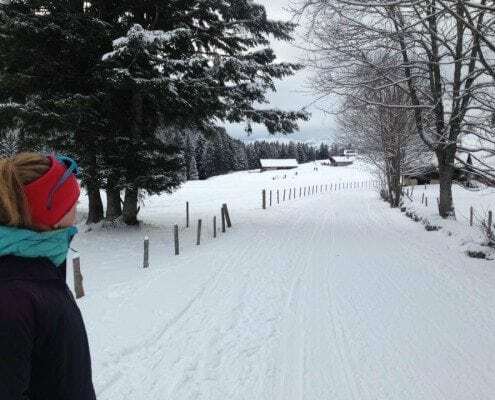 Vicky: When I’m taking a day off of skis I love to head to Solalex in Gyon where people go to cross country ski, snowshoe or take a husky drawn sled ride! It’s just a really peaceful place to be and appreciate the mountains. There is also a great creperie with a wood burning fire inside. Tom: One of my favourite places in the Villars area is the Hotel du Lac. It’s a great spot to grab a coffee or have lunch with friends while sitting in the sun on the terrace. Make sure to book in advance because it is very popular. And as it is a hotel it is open after all the lifts close, so if you fancy touring up after a day of skiing, you’ll get a warm welcome and a well deserved drink. Sam: I like the Bowling Sports Bar below the ice rink. It’s a great place to spend an evening with friends. There is lots to do apart from bowling, like pool, air hockey and tabe football. As a bonus they have a massive projector where they show a wide range of sports from football to ski racing. It’s not easy to find but it’s a hidden gem! 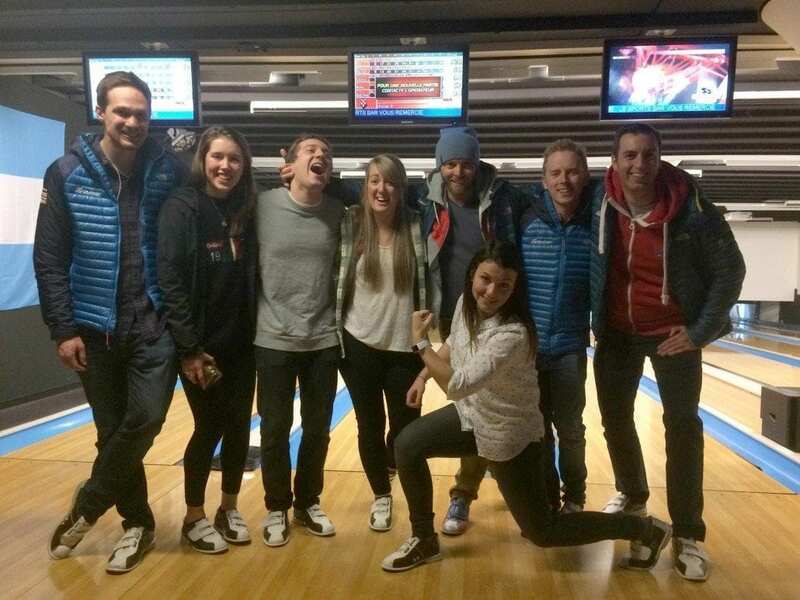 The Villars team enjoying a night of bowling. Giancarlo: Auberge du Col-de-Soud – This cosy little spot serves the best vin chaud in the whole Villars-Gryon-Diablerets ski area, which is served in little terracotta pots – the perfect way to warm up on a cold day! There is a sunny terrace with beautiful views towards the Diablerets Massif, and the food is delicious. Try the rostis, they may just be the best in the whole of Switzerland! Again, make sure to book in advance as the dining room fills up very quickly. Georgia: My favourite place in Villars has to be the little lookout above Rochesgrise. It takes about 20 minutes to reach on foot from the centre of town, following the ‘Col de la Croix’ road. It’s perfect for a peaceful afternoon stroll through the trees alone or with the whole clan. It’s open for the public to use the barbecue area and picnic tables. A camera here is a must on a clear day, especially if you can catch the sunset. The lookout offers the most amazing view of the entire other side of the valley all the way to Lake Geneva. Using the built-in panoramic map, you can identify the ‘Mont Blanc’, the ‘Dents du Midi’ and the ‘Portes du Soleil’ ski area. Best of all, take your toboggan and fly home down the luge run! 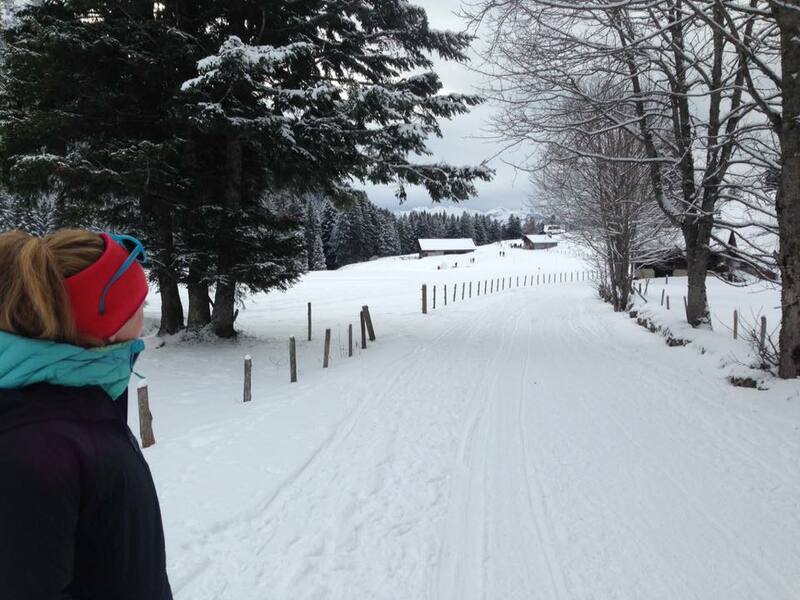 Come explore all of the things we love about Villars for yourself. And join us on the mountain as well. 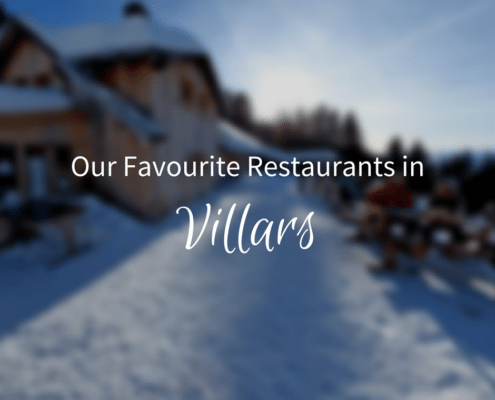 What are you favourite things to do in Villars? Let us know in the comments below.